With this video, Devon Stack has cemented his position in my mind as the most on-point Alt Media YouTuber of the moment, with postproduction chops and commentary that’s like a baseball bat to the face. 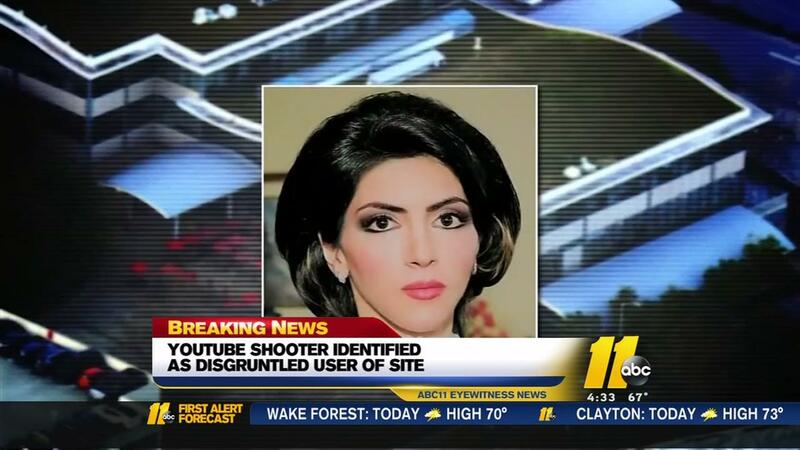 Stack was swift to download dozens of hours of surreal video from YouTube shooter, Nasim Aghdam’s channels before all of the social media companies moved in Fascist lockstep to disappear her down the memory hole. One of my subscribers joked to me yesterday that he was glad it wasn’t me who shot up YouTube HQ. (Ha ha). I will remind readers that I have not experienced censorship or filtering on YouTube as I am loathe to create my own video content and there’s not much of mine to censor on there. However, for 5 years, I did make a spectacular living from AdSense, the same advertising platform used by Google-YouTube and which is owned by their parent company, Alphabet. The ads ran not on my YouTube channel but on my website, where the split was much more favorable to the publisher and you made much more money from ads than on YouTube. It was a dream come true, to get paid $$$ to be totally anti-establishment! Then from one day to the next, as I’ve recounted numerous times (kind of like Nasim Aghdam did), they “turned off my chip”. It was just like Aaron Russo said. Chips, of course are no longer necessary. For me, it happened in early 2015. I felt like a lab animal. They’d gotten the data they needed and were tossing out my carcass. What I understand in retrospect is that it was all about the 2016 Presidential Election and Silicon Valley’s policy to squelch web traffic and earnings away from all anti-Hillary rhetoric. This has progressed now to any rhetoric that does not align with a certain globalist agenda. This is not paranoia. It’s as plain as day when you do what I do for a living. It’s especially obvious if, like me, you’d been a dyed-in-the-wool Liberal your whole life. Talk about getting “red”-pilled! When Liberals algorithmically filter me and morph into spooky Fascists in the shadows, that’s when I stop being whatever “Liberal” passes for these days. It’s utterly impersonal and implacable. They’ve sicced their vaunted “machine learning” to excommunicate a growing set of key words and phrases from the Internet. For years, I’d written all kinds of antiwar and critique of the US Government. AdSense remained my friend until I didn’t like Hillary and the 2016 Election got underway. This filtering/" target="_blank">algorithmic filtering is intensifying with the ongoing coup d’état against the elected President. It doesn’t matter whether you’re for or against the guy. There is a coup d’état underway and a technocratic policy that was implemented by Silicon Valley in late 2014 has since propagated to TV news, comedy, print, you name it. Congress for Cultural Freedom, eat your heart out! It’s hard to describe how spooky it is to have your chip turned off with no notice. My father had just died after I’d gone to care for him and my mother was terminally ill, then with zero warning, I stopped earning money for no reason and I snapped. If there’s a bright side to this sad tale, it’s that when I snap, I don’t want to kill people. Aghdam’s chip got turned off. Before you say her content was terrible, ask yourself if it was any worse than YouTuber youtube-sensation-big-marvel/">Big Marvel‘s, who continues to garner millions of views? There is no justification for Aghdam’s actions but with the ongoing Facebook scandal and now this, it’s beyond clear that there needs to be more transparency in Internet advertising. WHO IS REALLY BEHIND YOUTUBE’S CENSORSHIP?